The best thing about the up-coming Green Hornet film is the superhero car "Black Beauty." Having the right "whip" is important to a superhero and even Batman knows that "chicks dig the car." With the release of the Green Hornet trailer we get more shots of the ride, and we now present the 17 cars superheros drive that we love. This is the car that sets the standard for all others. The epitome of style and everything has a helpful "Bat..." label on it. Based on the 1955 Lincoln Futura concept car, this behemoth still inspires. More of a dune buggy than a car, this vehicle could climb walls and shoot webbing. It makes the list because of the sheer audacity of it. A spider driving a car is like a fish flying a plane. It's just wrong. The new movie features a shorter, badder and meaner version of the "Black Beauty." While the original was built from the1966 Chrysler Imperial, this one is based on the 1965 edition. 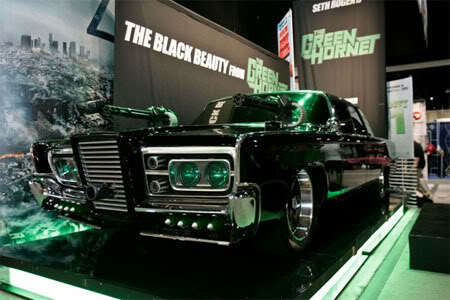 Outfitted with more weaponry than your average tank Green Hornet brings new meaning to "Defensive Driving." Aggressive, powerful and sleek, this car roars at you courtesy of a jet engine. It says "I hate crime, but still want to make a statement." Able to leap tall roofs in a single bound this bad boy is the most cantankerous looking of all super cars. Ugly to look at, but, when you see it in action, you realize there's no stopping it. Plus, it comes with an escape pod. Disguised as a simple television repairman vehicle, the Punisher's ride is outfitted with everything a hero needs to kill and maim. 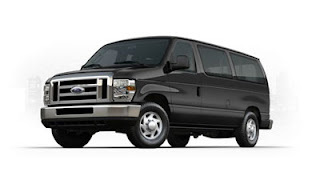 Advanced armor, armaments and communication systems, it also sports a "killer" anti-theft system. If this van is a rockin' your head is gonna be a knockin'. Less a car than a plane, it has the enviable ability to break into four smaller planes. Considering only one of them is a pilot and another can fly this proves that there's strength in numbers. Nothing says America like riding the open road. 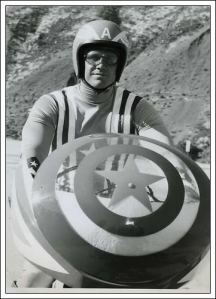 Captain America does it in style with this motorcycle. It even has a handy place between the handlebars to hold his sheild. You know. In case the villain shoots him in the exact center of the handlebars instead of the face. Not only did Mr. Incredible's car transform from a sedan to a sports car but it changed him into his costume. 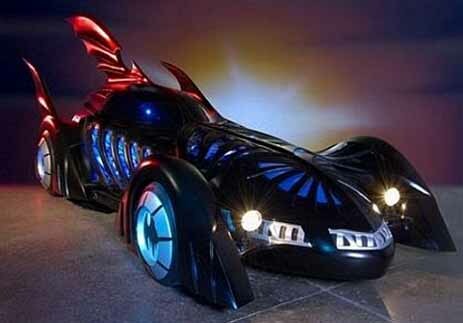 That alone beats out most superhero cars. The stealth plane "Blackbird" gets all the props, but the car in X-Men 2 had a built-in cellphone. Unfortunately, the phone only called the other cell phone. Guess you can't have everything. For the six of us that watched the Ben Stiller superhero comedy Mystery Men you'll recognize this hulking beast. Described as “the best nonlethal military vehicle ever made,” and virtually "unjunkable," this cross between a minivan and a tank crushed all villainy. 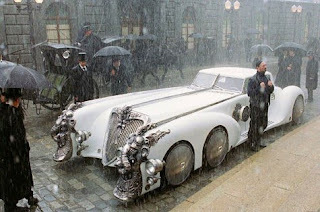 100 feet long, six wheels and covered in silver and ivory ornate designs Captain Nemo's "Otto Mobile" from the unremarkable movie The League of Extraordinary Gentlemen sets a new standard. If you're going to travel the world in a submarine, you never know when you'll need to speed along the streets of Venice. If you're looking for a car that attracts attention you can't get much better than this. With its neon lights, flashing engine, massive bat wings and eight foot flame coming out of the back no one can say they didn't know you were coming. When Batman isn't crushing cars and rooftops he drives the much more "subtle" Lamborghini Murcielago LP640. Wearing Armani suits doesn't stop him from being a hero though. He throws his $400,000 car into the path of a would-be assassin. Now that's a real hero. Tony Stark and Iron Man are one and the same, so even when he's jet-setting around the country he drives a stylish superhero car. The appearance is brief, but memorable. Stark has good taste in cars and women. 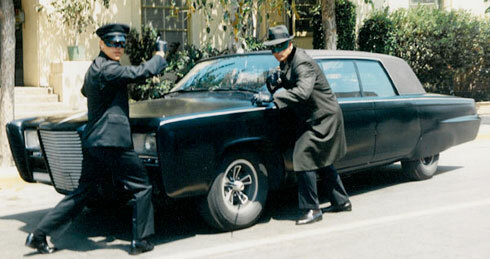 Lone Ranger had "Silver" and Green Hornet has "Black Beauty." Of course, with Bruce Lee as your driver, even a bicycle becomes a lethal weapon. A cult Disney film from 1981 featured a comic book artist living out his dream of being a superhero named "Condorman ." His stylish "Condormobile" was actually a Nova Sterling kit car. The car is amazing, but the film is so bad, it inspired the lead actor Michael Crawford to eventually play "The Phantom of the Opera" and hide his face behind a mask. So, that's the list. Did we miss any? Which would you ride? 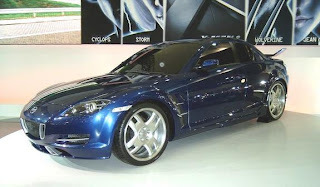 X-Men's Mazda RX-8 , Tony Stark's Audi R8 Spyder , Bruce Wayne's Lamborghini , Captain Nemo's Automobile They have so great design !!! Actually all the cars in this lst are so great but the Captain Nemo's Automobile is really amazing !!!! 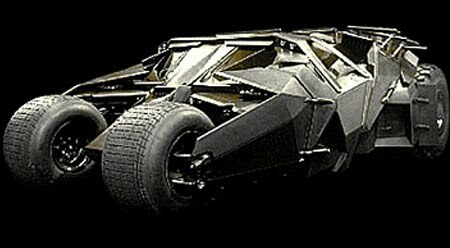 I don't think I would mortgage my house but I would love to own a BATMOBILE !!!!! You're right. 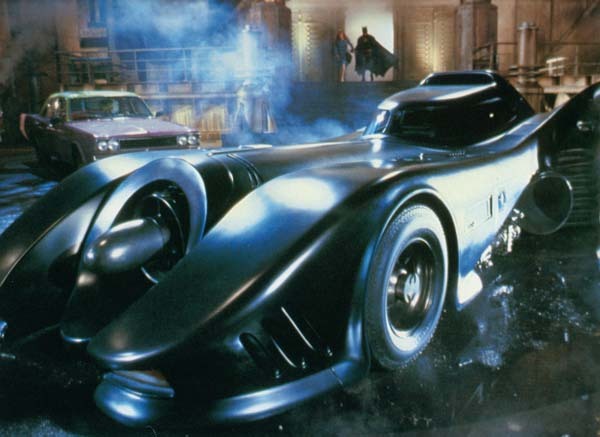 If I could drop a few thousand to convert a car to the old Bat-mobile, I'd mortgage my home. Great for parties. 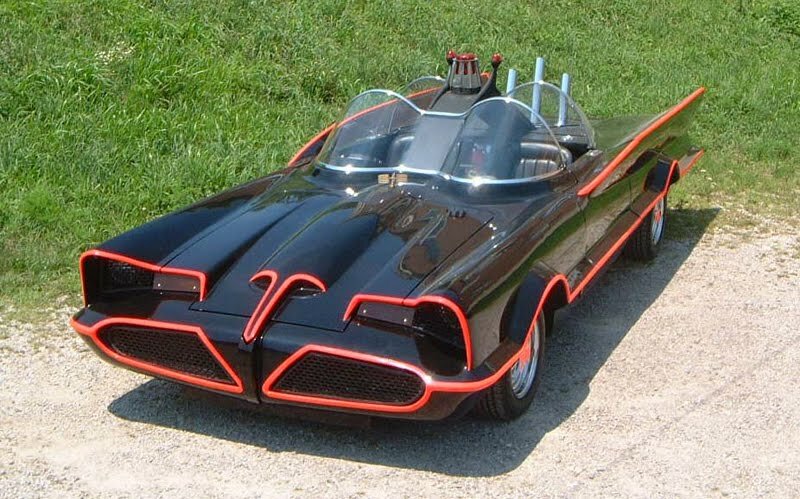 Nothing beats the good old Bat Mobile from Adam West's days! If I remember correctly, the car was auctioned for thousands of dollars! If only the car was based from an actual commercial vehicle, I'll definitely run to one of the used car dealerships here in Indianapolis and turn it into the classic Bat Mobile! I'm not digging the latest versions of the super hero cars - well, except for the Hornet's - looks badass. Thanks for sharing this collection. I am going to save the pics. This specific kind of write-up happen to be such a great one in providing detailed information as well as knowledge as well. This story regarding to cars along with other autos tend to be quite an interesting one to get together with. What about Batgirl's Batcycle from the 60's show? Re #5: That vehicle was referred to as "The Tumbler". The Bat-Mobile and both Black Beauties look simply awesome. They'd be amazing for road trips, ha ha ha! Sure, the Thumper and the other Batmobile have a lot of cool gadgets. But the older model has a lot of style attached to it. In any case, any car on this list is awesome in its own way. You forgot Doc Brown's De Lorean time machine and the Chitty Chitty Bang Bang car. I LOVE THE BLACK BEAUTIES. The best car ever is Knight Rider's (Trans Am) KITT. 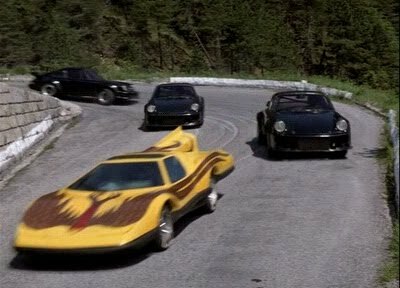 KITT is better than any of the Bond cars, Batmobile's Black Beauty's etc. Let's see a Bond car crash through or jump over a tractor trailer without a scratch, let a lone, can any one of those cars drive themselves without a human remote controlling them. And none of the above cars can go 300 mph.